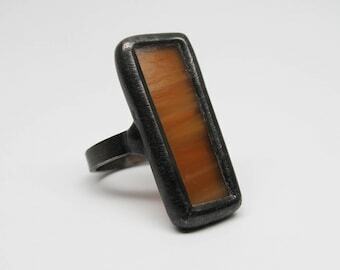 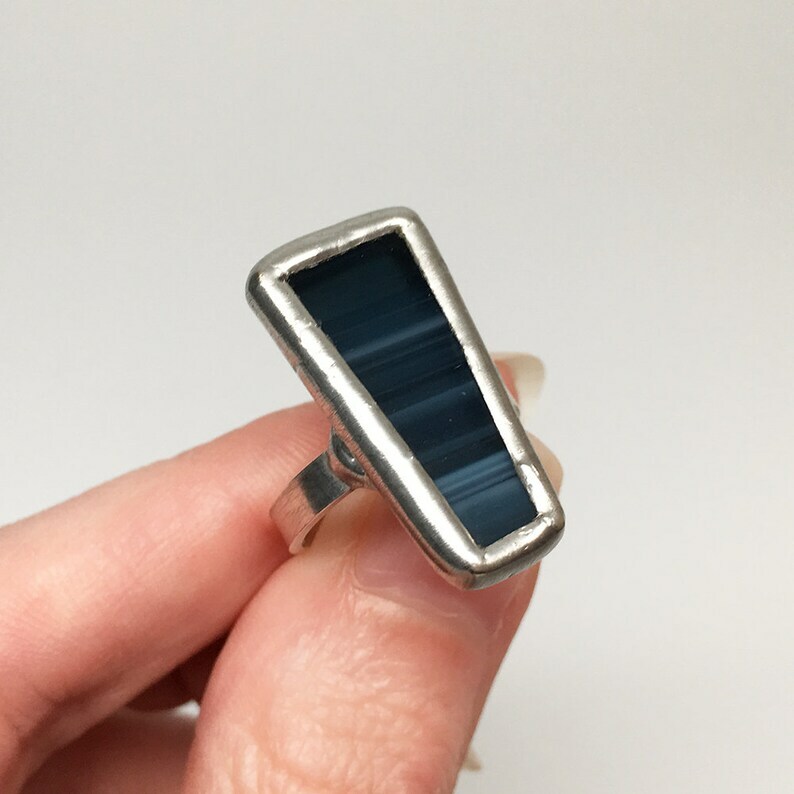 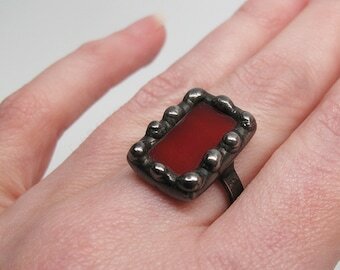 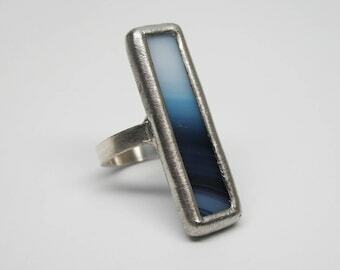 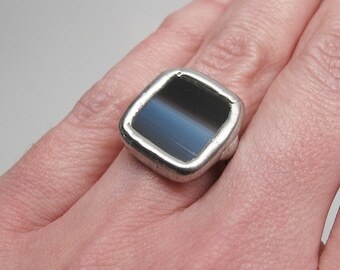 An opaque, dark blue striped stained glass ring, edged in silver. 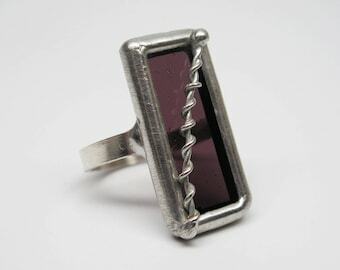 The sterling silver wire band is approximately size 7. 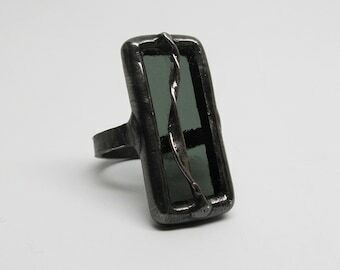 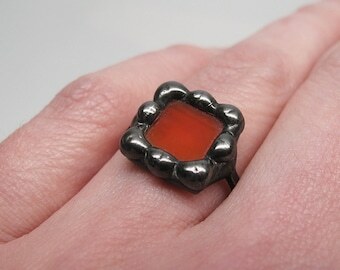 This is a one of a kind ring. 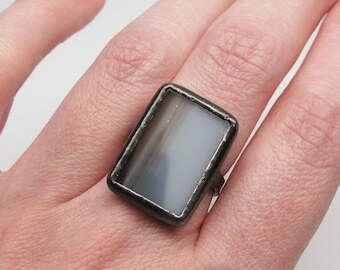 Center Glass Size: 1" x 1/2"